Mallory Grace: Well, it's big. Simon Grace: Yeah, so I can get bigger pets here, right Mom? Helen Grace: Sure! Get a cow. Get a whole flock. Simon Grace: [Simon smiles] Herd. Helen Grace: That, too. What do you think, Jared? Jared? Helen Grace: [as Jared listens to his headphones ignoring Helen] Okay, here we go. Q: What is "The Spiderwick Chronicles" about? 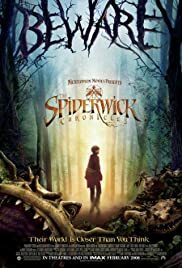 Q: Is the "The Spiderwick Chronicles" based on a book? This is another of those fantasy films that serves its purpose in that it entertains, no matter what the age. It's not among the elite in its genre, but it is a story that hooks you in by the 20-minute mark and you just go along for the ride, mainly to see how things will turn out. There is good suspense in here, enough to make adults care about what happens, not just kids. There also are some scary scenes that are probably too much for small kids, but fine for teens on up. In all, you get a good mix of horror, comedy, fantasy and drama all rolled into one odd (fantasy) story. 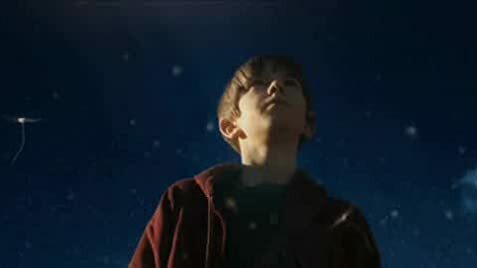 Child acting star Freddie Highmore, who seems to get cast in a lot of these fantasies (Charlie And The Chocolate Family," "August Rush," "Arthur And The Invisibles," and "The Golden Compass") has a dual role in here, playing brothers "Jared"and "Simon Grace." Freddie is a fine actor, so no problem in that department. I hate to hear child actors, using God's name as exclamations, though, but that's not Highmore's doing. The only other annoyance is the frequent shouting with an older sister. However, once the adventure kicks into high gear, the arguing stops as the kids try to solve their major dilemma as a unit. Nick Nolte plays the big villain, "Mulgarath." but his role is surprisingly small. It's all those ugly, nasty little creatures who surround the house, who are the "bad guys." There are a number of somewhat scary scenes involving them, enough to entertain the post-pre-adolescent crowd. The star of the film isn't Freddie or the actors, or the story.....it's the special-effects, which are very good and a lot of fun to watch, from little beings to monsters to fairies to whatever. I saw this on Blu-Ray and it really looks good. All of it is very colorful and entertaining to view, making this a film fun for both kids and adults.